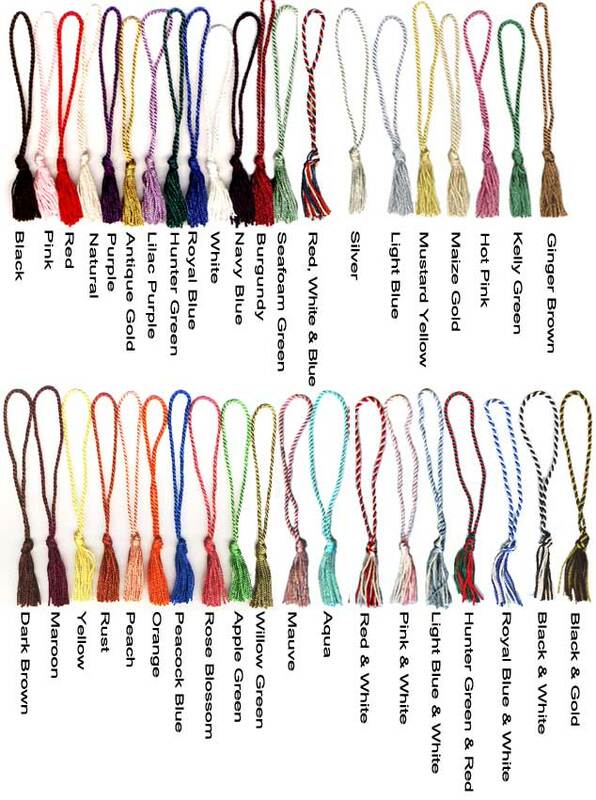 The CHAINETTE bookmark tassel is offered in 40 fantastic colors. Our chainette bookmark tassels are a great added touch for your bookmarks, invitations and so much more! We guarantee your satisfaction, offering only the highest quality chainette bookmark tassel sold much CHEAPER than our competitors online. You will love our chainette bookmark tassel! This is an in stock item. We have NO MINIMUM REQUIRED to get our great price! You are looking at our beautiful CHAINETTE bookmark tassel. The chainette tassel measures 1 3/4" and has a 4" loop, $.12 each per tassel. Please note that the colors in the picture are shown in the same order as the drop down menu for color choice. We are now offering mixed colors in a bundle. Choose the "Mixed Colors" option and you will receive a mixture of colors. Our current promotion on the chainette tassels is the following: if you order 100-499 tassels in the same color, the price is $.11 each. If you order 500 or more tassels of the same color the price is $.10 each. This special will also apply if you order our "Mixed Colors" option where you will get an assortment of all 40 colors that we offer.